And yet, the imaging industry continues to be as optimistic as ever. That’s because we thrive in an industry that sells smiles and memories, and despite our hardships and challenges, there is no shortage of those. The billions of images that are taken each year suggest that our market continues to grow, and our market is expanding well beyond the traditional young families who have always been our sweet spot. Teens, tweens and empty nesters are snapping away, and images can be found on cameras, smartphones, hard drives, memory cards and, soon, even clouds. Our challenge in the coming months and years ahead is to adapt to the new realities of imaging. No longer is the camera the sole source of memories, and no longer is the album the only final destination of those images. Smartphones are becoming this millennium’s cameras of choice due to their portability and ease of sharing, and Facebook is quickly becoming this generation’s photo album. Printing and saving are being replaced by sending and sharing. And photo quality is being supplanted by photo quantity. But all is not lost, and in fact there is much to gain. DSLRs and compact camera sales continue to thrive, because, in fact, they are better tools for our industry. The opportunity to offer customers a myriad of ways to print and save their photos is a profit story just waiting to happen. Just think if .01% of the 60 billion images already on Facebook were printed, there would be 60 million images to print. Our challenge as an industry is to convince customers that images need to be better, and a generation of images will be lost forever if they do not begin to change their habits and appreciate the importance of printing and saving. What does this all mean? The State of the Industry is changing. Unlike past years, when only our technology would change, we now have to market to an entire population that is changing. And to be successful, we have to understand them and adapt to their world. Our continued success as an industry depends on our continued willingness to evolve with our customers. It’s not easy, but many of you are doing it already, and your results are inspiring the rest of us. Nothing sums up 2011 like the April 12 announcement that Cisco would close down its successful Flip camcorder business, the reason being a returned-focus to its core strengths in networking. Despite this, the five-year Flip-phenomenon has lasting impact on the imaging market. The Flip was introduced in 2007 and saw immediate success. Within two years, Cisco supplanted 20-plus years of Sony’s leadership to become the leading provider of video camcorders in the U.S.—and to enable a stagnant category to achieve growth. The Flip’s rapid success pushed vendors like Sony, Canon and Kodak to innovate. Sony, in particular, embraced strong feature innovation across its camera and camcorder lines, and in 2010 it was thus able to grow its leading global share in the compact camera market. While some blame smartphones for the demise of the Flip, the IDC data clearly indicates otherwise. However, consumers are quickly adopting smartphones and expect the connectivity-driven convenience in stand-alone devices. While photography still remains event driven, stand-alone camera/camcorder vendors should focus on segmenting products on lifestyle, and most important, offer wireless/card-less connectivity to other devices. Consumer and Professional Imaging Group, InfoTrends, Inc. In the war between digital still cameras and smartphones, a battle is being fought on a convenience versus quality front. Smartphones offer the convenience of instant sharing of images on social network sites and online photo services, but the image capture quality is not as good as many digital cameras. Digital cameras offer some of the best image-capture quality, but their lack of connectivity makes the process of getting the images out of the camera and onto the Internet difficult. In the coming year, InfoTrends sees more consumers taking the convenience with “good enough quality” road and forecasts that the number of images captured on smartphones in the U.S. will exceed 34 billion in 2012. For a growing number of consumers, the smartphone will be the camera in their pockets. The shift from cameras to smartphones will likely involve a generational transition, where teens and young adults make the switch sooner than older adults. Will the Imaging Industry Recognize the “Borders Effect”? You remember Borders, the failed bookstore chain. “Experts” said they failed because they didn’t modernize and stay current with e-books, etc. Surprise! Total titles sold in e-book and traditional book formats are shrinking. Off the record, publishers are admitting there are too few places for consumers to browse books. The online browsing isn’t doing what the “old model” bookstores like Borders did. John Grisham isn’t worried, but the secondary and backlist authors are plainly worried. As are the publishers that can’t survive on three best sellers a year. Flip over to the imaging industry. Wall Street worries their darling stock, Best Buy, is “Amazon’s Showroom.” Reliable rumors circulate about major mass players dramatically reducing space and inventory commitment to imaging. Vendors who will miss these sales are the ones whose policies are causing the erosion. As margin erosion continues, players exit the market or find alternatives. Both Best Buy and B&H are increasing their emphasis on private brands, thwarting major brands’ power. Comparing the first half of this year to last, the U.S. camera market unit-volume sales declined 10% and revenues decreased 6%, according to NPD’s Retail Tracking Service. Although they are found in seven out of 10 U.S. households, compact camera penetration has declined. Conversely, detachable-lens cameras showed a six-percentage point penetration growth in 2011 to reach 17%. As consumers now have the luxury of video capture in nearly all of their photo capture devices, camcorder unit sales declined by 8% and revenues declined 14% in the first half of 2011. Smartphones are among the highest growth technology categories, and they are changing the way consumers think about photography. For dedicated image capture devices to stay relevant, they must offer clear feature superiority and take a cue from current and emerging mobile-phone functionality. Consumers want ease of use, good battery life and small size, but they also want what smartphones can’t deliver today. For photos, consumers want low-light shooting quality, optical zoom and less shutter lag; for video, they want higher audio quality. As the core memory keepers in the household, moms want more connectivity, along with the ability to edit right on the camera. They want the convenience of sharing photos wirelessly and of uploading to social networks and sharing sites. Over the next year, marketers need to focus on increasing camera mindshare and graduating consumers to more advanced cameras and accessories. According to NPD’s “Digital Camera Market Basket” report, attach rates of accessories to new detachable-lens cameras rose to 41% at the point of purchase and accounted for $244 in additional revenue on average within the first six months of camera ownership. Economic and natural upheavals have had a big effect on the worldwide photofinishing industry. In Japan, even though the economy has mainly recovered from the earthquake/tsunami in March, revenue is off by 10% to 15%, as people choose not to engage in celebrations while their countrymen are sill suffering. For Americans, the continuing decline of the U.S. dollar against other prominent currencies has affected overseas leisure travel, and the consequent business of print service providers. One result in the U.S. is that some previously successful mass-market channel retailers are leaving the business. Even though the transition to digital has opened up new revenue and higher profit streams for personalized photo products, photofinishers overall are not benefiting. Analyses by Photo Imaging News reveal the great emerging opportunities for photofinishers, but also that the marketing and consumer awareness of these photo products is lacking; and if potential customers don’t know about our products, they won’t buy them. 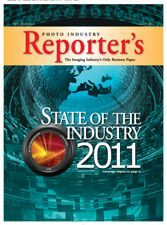 The Consumer Electronics Association sees good things happening in the industry for the remainder of 2011. While the reverberations of the 2009 recession still linger, the overall state of the economy is sufficiently tenuous that any discussion of positive growth is at once welcome—and suspect. The year 2010 engendered what we called a “consumer-driven correction” with industry sales lifting 6.3% to $180 billion. This upswing, despite the grim unemployment numbers and what might be generously described as a cautious economic turnaround, was largely due to the enriching effects of technology on consumers’ lives and businesses’ bottom lines. Looking back on 2010’s performance, key consumer electronics (CE) sectors remained stable and in some cases continued to grow, capitalizing on the momentum generated by a strong holiday sales cycle. Industry growth in 2011 is pinned on a handful of mobile, connected devices, most notably tablet PCs, smartphones and e-readers, and CEA now expects total CE industry revenues in 2011 will climb 5.6% to $190.5 billion this year. This improved revenue outlook can be attributed, again, to the CE industry making it possible for consumers to remain interested and invested in new and familiar products. Affordable prices, broader distribution, more attached-services and greater connectivity all add up to the ever-increasing value proposition embodied in today’s consumer electronics. Digital cameras remain a key product in America’s basket of consumer electronics, as demonstrated by a household penetration rate of 84%. Indeed, they have been largely a gift or replacement product for the last several years. However, features such as higher megapixels, increased zoom capacity, image stabilization, face detection, camcorder features and 3D capability helped grow shipments. CEA projects 2011 unit shipments to increase 3% in 2011 to 37.7 million units. An NGO of the United Nations, IPC presented six IPC Professional Leadership Awards and the first Lifetime Achievement Award in Professional Photography at the 13th Annual Award Luncheon at the UN on May 5, 2011. Leadership Awards were presented to Don Dormeye, American Photographic Artists; Richard Kelly, American Society of Media Photographers; Ron Nichols, Professional Photographers of America; Jamie Rose, White House News Photographers Association; Doug Gordon, Wedding & Portrait Photographers International; and Martin Vrabko, Federation of European Photographers. The Lifetime Achievement Award was presented to Ken Strawbridge, Professional School Photographers of America. Distinguished Service Awards were presented to IPC members Alice Miller, John Segall and Ted McGrath for their dedication. We are more than half way into 2011 and have experienced uncertainties with respect to domestic and global economic recovery. Among them are: civil unrest in the Middle East; rising food and energy prices; a devastating earthquake and nuclear-plant disasters in Japan; European sovereign debt; and fear of a “double dip” recession. Nevertheless, the Consumer Electronics Association forecasts that U.S. CE shipments will surpass $190 billion in 2011 and $197 billion in 2012. Smartphone sales will be a major growth area, at 45%, to reach $23 billion. Global consumer electronics will grow in 2011 by 6% to $937.3 billion, according to the Gfk Group. China’s share will grow 13%, while Europe shrinks to 28% from 35%. Japan will fall in 2011 to 8% from 10% due to the earthquake. North America will remain flat at 21% in 2011. But 2012 will be an exciting year as consumer electronics and photo-imaging segments share the spotlight for the first time at PMA@CES, January 10-13, 2012 in Las Vegas. photokina 2012 in Cologne, Germany, will stimulate photo-imaging businesses with innovative products in a variety of mirrorless cameras, e-readers, smartphones, tablets, lenses, etc. For the service specialty retail channel of the many allied industries within which IPI members find themselves operating today, one of the best ways for determining the state of our industry is to listen to members talk and ask probing questions at the IPI Member Retreat. With this year’s member attendance up almost 15% over last year, I had many more opportunities to do both. IPI members in general enjoyed a better year in 2010, and 2011 was shaping up to eclipse 2010. Not only did our USA members report this, but so did our members from Australasia and Canada. There were very encouraging results from around the world with regard to the state of our industry. New services and products, ones made possible and profitable with advances in digital archival technology, were discussed extensively, and reports indicated those new services and products are being embraced by many with success. Marketing appears to be a more and more important component of today’s image-archiving business, and accordingly the state of the industry is being driven by continued marketing initiatives. Social media and other more traditional but updated marketing strategies are providing the desired results. Photography has completed its transition from the analog film-based method to the digital process, and this transition hasn’t been without casualties. The new age of photo/video technology has not only impacted traditional revenue streams but also opened up new opportunities. Yes, the 4×6 is no longer the bread and butter of the industry, but many specialty retailers have expanded their offerings into seminars, consumer shows, video services, scanning services, portrait services and more. Creative industry members have more profitable opportunities than ever to reach consumers, who are embracing more and different cameras than ever. Consumers can make images with OTUCs and Holgas, with DSCs and DSLRs, and with cameraphones and compact interchangeable-lens cameras. These devices are all opportunities to monetize these images with new generations of picture-making services. Make no mistake, however, the photo business is more competitive than ever. To compete, retailers must be closer to their customers than ever, and engage them on many different levels. It’s not enough to have TV and radio ads and e-mail lists; consumers now expect to interact with retailers through Facebook pages, Twitter postings, YouTube videos, in-store experiences and out-of-store experiences. To convey the depth and breadth of today’s photo retail experience, it’s going to take all of these approaches and more. The current “green” sentiment sweeping the culture can be favorable to our businesses. No more do consumers have to pay for unwanted prints, which keeps those blurred shots out of landfills. Also, while not completely free of environmental concerns, today’s dry minilabs offer a good solution for those labs concerned about water usage and environmental discharges. Even online ordering—including convenient in-store pickup of prints and photo books—can reduce needless car trips. Yes, the industry was beaten down, but we are the survivors and are stronger for it. Most of the companies in the industry have regrouped, restructured and begun to reinvent themselves. Within the PMDA member companies—and in the global community—very interesting work is taking place to bring digital imaging to new directions and higher levels. Whether it is innovation in capture, image enhancement, sharing or output, our world is brimming with ideas—ideas that are only beginning to be seen in the marketplace. Are the ideas radical? Not all of them, but sometimes it is only a small twist on a known product that brings big success. Think Costco. Canvas prints have been around for a while—and so have stock images—but it was Costco’s marriage of the two that opened up a new avenue for profitable business. This summer they began to heavily promote canvas art that club members can create with stock photos from Costco’s new Art and Image Gallery. Significantly, Costco is advertising this product not only in the photo department but in the furniture department, on square footage that needs to deliver financial reward. Decisions made or not made by governments worldwide have severely stressed the retail environment. The relationship of the yuan, yen and dollar combined with interest rates, credit availability, employment levels and national budgets have distressed consumers. Consumer confidence has fallen for 10 months in a row. Consumers are stalling major purchases and even minor ones as reports of back-to-school sales show. This does not mean that the photo business is doomed to a bad year ahead. It means retailers must focus their efforts in categories that show potential. Most consumers have a functional, basic digital camera and a cell phone with photo capability. Adding two megapixels or a different color will not drive sales of simple point-and-shoot cameras. Dealers should be promoting cameras that provide significant performance benefits. SLR and DLC sales continue to grow because customers see a reason to purchase these models. At PRO, we see performance-enhancing accessories providing major sales growth. Retailers who offer classes find that consumers want to make a purchase after they understand how a product can help them make better pictures. PRO members are seeing growth in studio lighting and backgrounds, on camera flash modifiers, filters, better tripods and more. New ProMaster variable ND filters are but one example of opportunity. Sales, Imaging, Technologies and Communications Group, Canon USA Inc.
Having returned from a vacation at Yellowstone National Park, I enjoyed the opportunity to again experience photography as a consumer; I carried my EOS 7D and focused on what really matters, the experience and family memories. Many park-goers carried DSLRs, point-and-shoot cameras and camcorders, reminding me that what consumers want is still the same; it’s what they do with the images afterward that’s changed. Image quality is still paramount as there is only one chance to capture the moment, and having the right camera means everything. Overall sales continue to flourish as more consumers flock toward DSLRs, lenses and accessories, as well as higher end PowerShot models with exceptional low-light image quality. And consumers continue to embrace HD video. This spells opportunity for dealers, as all of Canon’s DSLRs shoot HD video—from our entry-level Rebels to the Hollywood-enamored 5D Mark II—offering retailers opportunities for add-on sales through lenses, tripods and accessories. We also enhanced our PowerShot cameras to meet the consumer desire for HD video with a dedicated movie button. Along with better images comes the desire to show them off, and here dealers have another opportunity through unique Canon input-to-output solutions, coupling Canon DSLRs with our award-winning Pixma Pro 9500 and 9000 printers. New software, like HD Movie Print, allows consumers to pull great still images from HD footage to print and share, merging the two technologies for a seamless user experience. Following the devastation that befell Japan in early 2011, we met rising industry concern with a fast, concerted recovery effort. With full recovery complete, the second half of 2011 sees a restrengthened focus on business execution, providing innovative product, advertising and promotional campaigns to support our retail partners. Today’s consumers have become more discerning and have higher expectations than ever before. The same stands true in the photography industry. Leica has been fortunate to see an increase of both amateur and professional photographers who appreciate the company’s values of handcraftsmanship, classic designs and superior quality in optics and mechanics. Our loyal customers strive to own products that set them apart in both performance and design, demanding superior image quality. They have spurred the development of the technically outstanding German-made Leica M9 (rangefinder camera) and Leica X1 (the first high-performance, large-sensor compact with a Leica form factor and superb prime lens). We are proud to be taking them on a journey of connoisseurship, capturing images of uncompromising quality. This year, we expanded our existing customer base through the Leica Akademie, bringing photographic lectures, workshops and hands-on experiential learning to 16 North American cities. Through this program, our ever-supportive Leica dealers are able to gain better educated customers who appreciate the unique qualities and design of our equipment. We also introduced the Leica Boutique concept in the United States. Leica’s boutiques are designed to support our retailers by significantly increasing business, while heightening Leica’s in-store presence. This industry is undergoing a paradigm shift; with social networking getting more popular, we share a lot of photographs and shoot even more. 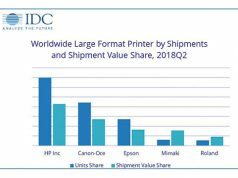 However, U.S. consumers are not printing as many photos, and print volume in the U.S. market is decreasing significantly. Some retailers are taking another look at their photo-processing operations. A well-known grocery chain in the southwest recently announced they’re discontinuing photo-processing services, and this is not the first chain to leave the photofinishing business. There is a bright spot: U.S. consumers are producing personalized photo gifts, and the specialty souvenir/gift market is growing. High-quality photo gifts are the next wave of products to sustain photo processing, as consumers can now easily add their own photos and text to cards, mugs, calendars, pillows, clothing, placemats and other novelty items. Event photography is also growing. Though hit by the recession, it is recovering faster than other sectors. Growth can be credited to smaller, faster printers and the ingenuity of resilient photographers who continue to reinvent their services to provide a fresh outlook for consumers. Another growing segment is the photo booth market, with new applications being conceived for special events. Furthermore, there are themed-based photo booths popping up in amusement parks nationwide. Mitsubishi dye-sub printers are uniquely positioned for the positive outlook in the event and photo booth markets. Our dye-sub printers are made for retail environments; we use dry processing to print photos with high-quality colors and fast turnaround. Retailers don’t have to stock the chemicals used with wet-process minilabs, and dye-sub printers are smaller with lower maintenance costs. The future is exciting for Mitsubishi and the industry. Consumers are demanding faster speeds, higher color quality and various print sizes. As print speeds and resolutions standardize, manufacturers like us who cut costs and offer quality, reliable printers at competitive prices will come out ahead. This is an exciting time for the imaging industry because there is incredible interest in capturing and sharing images, and consumers are becoming comfortable with more advanced digital cameras. There is a tremendous amount of product innovation happening, including more stylish designs, breakthrough imaging technologies, and features that reflect the needs of a broad spectrum of consumers. 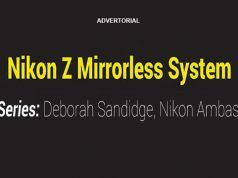 Nikon point-and-shoot and DSLR categories have remained in high demand this year, and we are looking forward to a strong second half in 2011 and through 2012. Our approach is to continue to understand how consumers’ methods of capturing and sharing images are changing and to adapt and grow to meet those needs. Nikon has seen healthy growth and increased interest in HD DSLR video from consumers, enthusiasts and professionals. From consumers capturing memorable moments to pro use by independent filmmakers and journalists, there is a strong interest in exploring HD DSLR video. Professionals are embracing video in concert with our powerful Nikkor lens system and discovering new levels of creativity to capture the world. The popularity of digital sharing is also feeding consumer desire for superior image quality and performance. 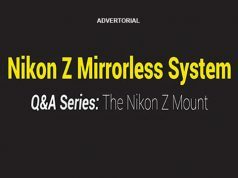 Nikon will continue to participate in the photo and video conversation online, which heavily influences purchase decisions. As the digital imaging industry faces ongoing challenges, Olympus is responding by developing innovative products that deliver superb design, quality and performance. We expect to see continued opportunity in the compact system camera (CSC) category, which reached 10% of interchangeable-lens market share in North America this May. This category, which is growing rapidly worldwide, should be further energized by our three new Pen cameras—the Pen E-P3, E-PL3 and E-PM1—each designed to address the needs and wants of three distinct customers. In the point-and-shoot category, Olympus expects to benefit from recent technological innovations and bring to market even more feature-rich products in 2012. In July we introduced the SP-810UZ, a first-in-class 36x optical zoom camera. We have also integrated CMOS sensors into our compact cameras, including the SZ-30MR and the SZ-20MR, improving low-light performance. The high-end XZ-1 is our first point and shoot to feature a built-in Zuiko digital lens. And the TG-810, our premium Tough camera, includes geotagging, allowing it to recognize more than 700,000 locations in over 180 countries/regions. Looking forward, challenges do remain. The slow economy, additional penetration from cameraphones and the fact that consumers have been conditioned to expect rebates are all affecting business. Despite these challenges, the industry remains in a positive growth position and Olympus is optimistic. Last year was very successful for Panasonic’s Imaging products, and in 2011 we continue to build on that momentum with market share growth in higher priced, feature-rich digital cameras. We will successfully market our digital cameras with campaigns designed to highlight the prestigious Lumix brand, especially as we go into the holiday season. Panasonic focuses on long-zoom, fast lenses and the Lumix G series, our interchangeable-lens systems cameras. The Micro Four Thirds category shows significant growth and we continue to gain market share in this segment. Not a surprise, but the point-and-shoot digital camera segment continues to be challenged by smartphones. This is an opportunity to capitalize on the fact that consumers are taking and sharing more photos as a way to document their life’s big and small moments. Photography is no longer just about capturing special occasions, but instead, it is part of a consumer’s everyday life. And this trend will create demand for better images and versatile cameras. Consumer demand for high-quality video capture on a digital camera is another trend we expect to grow. As the entire industry makes editing and sharing of videos even easier, we see this as a steadily increasing factor that will motivate consumers to upgrade their cameras to ensure they have a model that has HD video recording capabilities. As you know, on July 1 Hoya announced plans to sell the Pentax Imaging division to Ricoh. The transaction is scheduled to close October 1, 2011. Everyone at Pentax Imaging in the U.S. is excited about these changes, especially since Ricoh has stated they are interested in maintaining the Pentax brand and growing our SLR and interchangeable-lens business. On August 2, we announced that we are relocating our Pentax Imaging U.S. headquarters from Golden, Colorado, to downtown Denver, effective October 1. In addition to a downtown office, we are exploring the option to lease ground-level space in the building to open a Pentax retail store. Clearly, all these changes will create many new opportunities for Pentax in the coming year. Meanwhile, we anticipate continued strength in the DSLR and hybrid camera market. Customers are still very interested in quality images when it comes to shooting and sharing their daily activities. Many younger consumers are hungry for a more advanced camera, yet they want to travel as lightly as possible. They want a smaller camera that also offers superior image quality and advanced features. The Pentax Q is our answer to this new demand, and we’re excited about shipping this model in the U.S. in September. Samsung believes the digital imaging industry holds tremendous opportunity both today and in the future, yet we all must innovate to remain vibrant and relevant. Consumers want to shoot high-quality images without compromise. They want to take better pictures in low light and get closer to the subject. They even want to share those images with friends over the Internet—from anywhere. Samsung has delivered on these unmet consumer needs and created unique value for our dealers. The point-and-shoot category has been led by innovations such as built-in Wi-Fi and our DualView cameras with LCD screens on both sides for amazing self-portraits. Camcorders such as our ultraportable Q10 allow anyone to affordably shoot incredible HD video without navigating complicated menus. Our shockproof, dustproof and waterproof W200 camcorder lets photographers truly go where they never could before, and its BSI image sensor makes photos or movies shot in a low-light environment look great. Pro cameras are undergoing a dramatic shift, as the new compact system camera category, championed by our NX series, provides the superior quality and flexibility of interchangeable lenses, without the bulk of DSLR cameras. A growing focus for Samsung is our multiscreen approach. Our cameras can exchange photos and videos with our TVs, laptops, tablets and even our refrigerators with LCD screens. Imagine beaming a photo directly from your camera to your fridge; it’s possible now, not in a far-fetched future. Photographers want to inspire and be inspired, and Sigma Corporation is delivering those experiences through enhanced community engagement and a renewed commitment to our loyal Sigma dealers. As part of our 50th anniversary celebration this year, we have adopted the theme “Exploring the Possibilities,” and we’re laser-focused on building a community in which Sigma users can share their work, impart their knowledge, and interact with Sigma representatives to enhance their photographic experiences. This initiative began two years ago with our support of young, emerging photographers through the creation of our Sigma Scholarship Contest for high school seniors. We’ve supplemented it with the development of our 50th anniversary website, which invites all Sigma users to: upload, share and tag their photos; easily connect to our Facebook and Twitter networks; view company and product videos; participate in monthly product giveaways; get advice from Sigma pros; read our blog; compete for a chance to win a portfolio critique through the “Our Pros, Your Photos” program; and review an extensive list of events where consumers can find us at photo shows throughout the country. We’re also reaching out to consumers and supporting dealers on a one-on-one basis by participating in model shoots, and camera club, dealer and photography association events. It’s an exciting time in the camera business. Advances in image sensors, processing, optics and feature sets bring new levels of creativity, flexibility and artistic control to consumers. People are doing more than just taking pictures. They are preserving memories. Now they can do this faster and easier, with incredible resolution and image quality. There’s no better example of this trend than the DSLR market. This is an important part of Sony’s digital imaging business. It’s a category growing in market share and increasing in demand. In fact, we saw a 6.8% increase to 6 million units in 2010—a trend we expect to continue. In 2010, we introduced our a55 and a33 models with the innovative Translucent Mirror technology (TMT), pushing the limits of modern DSLR capabilities. That same year, Sony’s NEX line of interchangeable-lens cameras rewrote the rules for compact cameras. We’ve continued to develop both lines, and this fall that evolution hits its peak. Sony is bringing to market two new Alpha DSLR and two new NEX models that combine our innovation with several new enhancements to the TMT and mirrorless categories. For example, there’s a burst speed of 12 fps, with continuous AF, at 24.3 megapixels on the new a77. But there’s more than just speed. Various features of the new models include: ultra-low noise in stills and videos; a 24p “film-like” mode; use of the AVCHD 2.0 spec for 60p resolution video, providing playback compatibility with the newest generation of Blu-ray players for seamless home entertainment; and much more. We’ve also added what consumers have asked for: the highest quality viewfinders (the new models employ OLED VFs) and the world’s fastest shutter release time. Sony will continue to develop new digital imaging products—DSLRs and ILCs, as well as our Cyber-shot and Handycam camcorder models—with features and innovations that meet and exceed consumers’ expectations. Vice President, Sales & Marketing, Gary Fong, Inc. The biggest mistake in the photography industry today is thinking our businesses can be run the way they always have. For photographers, dealers and manufacturers alike, we must direct our attention beyond technological advancements in digital photography. We must recognize and embrace the changes in marketing and business, while maintaining the consumer as our number one priority. The clear winners in today’s photography industry are those businesses that fully engage their customers in every way possible and build positive images. With the onslaught of social media networking, we are offered the opportunity to effectively and inexpensively reach target customers in ways we never thought possible. With this technology also comes the ability for customers to broadcast their opinions in a multitude of ways. As brand representatives, we must create a two-way street and be there to put out fires, answer questions and offer advice along the way. It is essential to also provide continuing education to further engage our customers. At Gary Fong, Inc., we pride ourselves in frequently offering our customers new and exciting videos and tutorials. We use Microsoft Tag scan technology on product packages and in advertisements to reach our smartphone users. We maintain a dedicated educational website of video tutorials separate from our e-store, and we consistently post useful tips and tricks of the trade to our social media outlets. Finally, our customers are hungry for simple solutions. The easy-to-use Gary Fong Puffer eliminates red-eye, which eliminates a step in post processing for your customer. The Lightsphere Collapsible can be used to diffuse light for vertical or horizontal shots, eliminating the need for brackets and cumbersome lighting kits for your customer. The Gary Fong GearGuard locks pricey camera gear, adding a layer of security and eliminating worry for your customer. The objective is clear: your customer. In this fast-paced world, offering solutions that simplify the task at hand is priceless. Remember those good news/bad news discussions about digital photography? The good news: It gives you total control. The bad news: It gives you total control. We’re completely through “the digital transition” now and virtually everyone is employing the good news/bad news digital workflow—one that provides the photographer with unprecedented image management but requires an unprecedented amount of “techy” equipment. Recognizing this, retailers like B&H and Adorama now offer a wide variety of laptops, tablets, smartphones and complementary components next to their cameras, lenses and flash units. In short, today’s camera bag is a traveling studio. So the question becomes: Now that you’re all but required to bring all these essential photographic technologies and assets with you, how are you going to protect and organize them all? The question isn’t just for the serious photographer. All kinds of people need help with the tangle of electronic devices they bring with them today. We are in one of the few fields that seamlessly combine artistic expression with technological development. We observe and are deeply grateful that our customers continue to commit themselves to their creativity despite the financial limitations imposed by a gloomy economy. I joined Lensbaby as general manager just over a year ago. Prior to joining Lensbaby, I had managed large technical groups at Hewlett-Packard and Logitech for 15 years. After so many years of watching a $5 price change drive an X% sale increase, I have been moved to witness photographers sacrificing other expenses to invest in the tools they need to express their personal artistic visions. We at Lensbaby have worked to honor the customers’ trust by continuing to invest in new products that will help them express their creativity. Earlier this year, we launched Composer Pro, which provides a professional feel through smooth and refined focus and swivel. The second product is our Sweet 35 with 12-blade adjustable apertures inside a 35mm selective focus optic with close-focus capability. These products have been accepted by the marketplace at a surprisingly high rate, proving again the high priority our customers place on their creativity tools. Photographers of all levels—whether having just purchased a point and shoot or moving onward to the world of the digital SLR—are surrounded by a sea of gear options to help take their photography experience to the next level. Whether it’s a blazing-fast memory card, editing software or the hottest lens, photographers are looking to build their individual product portfolios to up their game, but the question always remains: Which is the best product or solution for me? This is where photo resellers have a real opportunity ahead of them. With the myriad of ways users capture, store, manage and share their still and video content, shooters are more connected than ever before. They’re no longer looking to their resellers for just camera advice but are also seeking a suite of solutions that will make the content management process as seamless as possible. Once a reseller identifies the shooter’s needs, he can create a loyal customer by providing the accessories that give the customer a seamless and graceful capture and postproduction experience. For instance, various performance levels of memory cards, card readers, backup solutions and computer memory upgrades can give customers the tools to manage their content the way they want, while engendering loyalty that can translate into a long and profitable relationship for years to come for the reseller. In the past years, emerging technologies have led to a shift in focus for imaging companies. The continued development of digital cameras and the amount of shooting power consumers get for their money has been a key change, as camera companies offer amazing resolutions, megapixel counts, LCD sizes and HD video for incredibly low prices. The soaring popularity of Facebook and Tumblr as sharing platforms is worth noting, while 3D technology continues to be a focus for many companies. The result has been a boom in camera sales, with more people purchasing DSLRs. This surge on the hardware front provides significant opportunities for retailers and manufacturers in the way of accessories that improve upon the image-taking experience. At Manfrotto Distribution, we focus our product development on the evolving needs of the professional and advanced amateur photographer. We look to offer high-end accessories that integrate with advanced DSLR features, expanding and enhancing the photographer’s ability to take breathtaking images. One area of growth has been in lighting. Photographers are working much more with light, and within our portfolio, shooters will find an array of lighting accessories to enhance their shooting experience, including Manfrotto lighting supports, Lastolite lighting controls and Elinchrom lighting equipment. The continued advancement of pro-level DSLRs leads to the need and opportunity to market pro-quality accessories. This has also created a new user category—entry-level, first-time DSLR owners, or social recorders as we call them. While the pro and advanced amateur remain Manfrotto’s core customer and have been in our DNA for over 40 years, we now provide appropriate Manfrotto tripods, gear bags and lighting for this new segment. These first-time DSLR shooters need accessories to complement their hardware and enable them to take quality shots. It’s perfectly clear we’ll face a variety of economic challenges and uncertainties in 2012. Even so, Tamron sees rich growth opportunities. After all, visual communication—still and video—are playing a once unimaginable role in everyday life, fostering inarguable imaging excitement. As point-and-shoot users seek cameras and lenses that do what their pocket cameras cannot, meaningful growth is forecast for the widening segment of interchangeable-lens cameras (as other segments flatten or shrink.) Happily, piqued interchangeable-lens camera interest merges with a broader selection of smaller cameras. It is these compact DSLRs that, when equipped with a premium all-in-one zoom lens, reshape consumer perception of DSLRs, lifting acceptance. As a leading developer of premium all-in-one zoom lenses, epitomized by the new 18-270mm Di II VC PZD 15x zoom, Tamron, with its comprehensive assortment of interchangeable lenses, is uniquely positioned to capitalize on what most agree will be a strong 2012 category. The photo-imaging industry continues to evolve, providing consumers with more opportunities to take pictures, and enjoy them in creative ways. This gives retailers and manufacturers more opportunities to sell products and services as technology and creativity bring new life to traditional products. Photo greeting cards, for example, account for a large percentage of sales and continue to grow. The majority of card orders are traditionally printed during holiday time. However, as websites and applications make ordering more accessible, cards can be a year-round strategy; life milestone events can expand the card business, providing the opportunity to sell other customized, themed cards year-round. Among current printing trends that can increase sales of wide-format printing is the need of small businesses, schools, community groups and individuals to make posters and signage for their events. Fujifilm offers systems that print posters and banners using the traditional silver halide process or inkjet. One unique capability is being able to print on canvas board, which requires no mounting. This saves the retailer time and labor while creating a product with a higher perceived value. Another evolving area is mobile access. New mobile apps are critical to the growth of imaging, providing new ways for retailers to encourage sales from photos taken with various devices. While photos taken with personal devices like smartphones are creating pressure on the bottom end of the camera range, there are plenty of opportunities for advanced bridge and long-zoom cameras, as consumers want to capture images they can’t get with phones or entry-level cameras. Consumers are also looking for unique cameras that deliver high-quality pictures, like the Fujifilm FinePix X100 that offers a new photographic experience and delivers unsurpassed image quality. As a newbie to the photo industry, I have the advantage of not remembering the double-digit growth days of film. My lens is a bit different; I’m the most valuable customer—a working mom who captures and shares daily life through pictures and quick quotes via Facebook and blogs. Each year I print photo cards at Christmas and two beautifully bound photo books featuring the best pictures of my family, collected from my multiple digital devices and Facebook. This year was different, because as general manager of HP’s Retail Publishing Solutions business, I found myself living our customers’ top three pain points around photo creative: 1. It’s not easy. 2. It’s time-consuming. 3. It’s perceived as expensive. At HP we are addressing customer pain points by enabling online-to-store fulfillment, through the combination of our Snapfish Publisher online portal and HP Photo Creation software. This solution helps retailers meet customer needs by giving them the option to create from the comfort of their couch and pick up in-store the same day. In fact, we have found that 77% of customers want the instant gratification of creating online and picking up at retail the same day. Access to photos stored on social networking sites, retailers’ online photo sites and third-party content is vital to the industry moving forward. HP holds licensing agreements with 17 of the world’s leading brands, including Disney, Nickelodeon and the NBA, enabling consumers to create personal keepsakes and gifts featuring the characters and imagery they love. We are opening the door to widen the on-ramp for printing. There is a $33B retail publishing market to be had. Content is king. 1. Traditional photo labs are increasing their breadth of products and services. 2. Commercial printers are targeting traditional photo markets to expand their customer bases and sell premium pages. 3. New online companies are integrating photo services. 4. Retailers are expanding their photo services to include a broader range of premium photo products. These trends are driven by the ever-changing needs of today’s “digital consumers,” who are telling their life stories through billions of digital photos and trillions of video frames each year. These consumers want services “how, where and when they want it.” They also want personalization, customization, high-quality content, ease of creation and exciting new ways to share. The price/quality/gratification mix for these consumers ranges from low-cost photo mementos and higher end keepsake options to professionally produced heirloom products and business-grade publications. Kodak is helping photo merchandisers evolve their business models, expanding beyond traditional photo services and differentiating their businesses with new photo products that meet the needs of a broader range of customers. When Jerry Grossman approached us to give our state of the industry comments, I was excited to share them. Here are my five truths. 1. There are more print-ready pictures per day in 2011 than in 2001. Nearly every consumer has a camera on them at all times. The problem is not opportunity; it’s demand. The challenge with demand is that we need to excite the imagination of our customers. Marketing is what is needed—real Bill Cosby Kodak Moment marketing! 2. Prints are your fastest way to profit. Sure, we talk about books, gifting and odd and ends constantly, but this business is still 99% prints. A focused look at your pricing, packaging and marketing around prints will yield results faster than will adding more creative products. A $30 poster every six orders increases your average sale by $5. Also, stop devaluing your prints: 9-cent 4×6 deals don’t driving traffic; they kill margin. 3. Photo books are not going to save our industry. They are great! I love them! They have to be part of your portfolio. However, much like your toolbox can’t only have screwdrivers, your lab has to diversify. Books, cards, calendars, notepads, gifts—these are all equally important. Creative products make up 1% of the volume and 25% of the revenue. 4. Your brand must work. Customers are coming to you for expertise and assistance. If your brand identity is fractured, so is your relationship with your customers. Too many websites and stores have different technology for different reasons: use this link for books; use this link for prints; this one has a better uploader; this one has Snoopy. Uggg! Your customers just wanted to get prints of their baby’s cute picture on a canvas. Help them; don’t confuse them. Your brand is what they’re coming in for, not your technology. 5. Specialty photo and regional stores are the future. This isn’t going to make me many friends in the mass world, but they are not the future of photo. Every year more consumers realize a more localized and assisted approach is needed. Use your advantage. You have a minilab; you have a poster printer; you have an instant printer. You can make 4,000 products for pickup in an hour. You must increase your presence and use your advantage. The strong shall survive! That is exactly what we are seeing from a Noritsu perspective. It is obviously no secret that we are in a very tough industry and our economy has not helped in our turnaround. However, as I travel to see our customers, I see growth from those who understand they must find new products to sell and new ways to cut costs. A tough time makes everyone dig a little deeper and possibly do some things that may have never considered in the past. At Noritsu, we have expanded our product portfolio by listening to our customers’ needs and by expanding to include other equipment manufacturers’ products and services. Our service organization now services a variety of equipment from other manufacturers. Noritsu hits the mark in offering high-quality printing equipment, with duplex capability from our D703, D502, and high-output, 12-inch-capable D1005. We also offer photo books in less than 10 minutes with home layout or at retail with our Photo Book Maker. Facebook users are a huge source of stored images, and now those images can be printed right from the individual’s account utilizing a kiosk on location. While some of our customers have switched from wet to dry equipment, there remains a significant number who continue to put their trust in our wet lab solutions to meet consumer demands. This will continue for some time into the future due to consumable cost. The last few years have been challenging, to say the least. While macroeconomic factors seem to rock us daily, imaging industry changes demand smart decisions and nimble execution. Those who have been able to prosper in this environment deserve to stop for a second and pat ourselves on the back. But, not for too long, or you’ll miss the next new thing. While the product mix has changed, the principle remains the same: use accessories to differentiate your store and make a profit. Accentuate what differentiates your store from the big boxes—your expertise, knowledge and personal service. In most cases you can match their prices, add the valuable extras that you can offer and they can’t, and make a good profit. Every digital camera sale should include accessories. Start with the usual suspects, such as filters—especially the Marumi Digital High Grade filters made specifically for digital cameras—cleaning tools, tripods and straps. Then add the digital-specific needs; every camera you sell should go with extra memory cards, a card reader, and rechargeable batteries and charger. Color-calibration tools such as Qp cards help serious photographers get better images, while Mirror, Mirror on the Camera and the Bottle-Top Pod are fun for all. At Argraph, we continue our commitment to our dealers with outstanding personal service, super-fast delivery and unique, profitable products. Familiar product lines continue to evolve. For example, while Pana-Vue slide viewers continue to sell to people who want to go through their slide collections, our new Pana-Vue Pana-Scan scanners make scanning, sharing and archiving these memories easy and economical. Enthusiatic is the word that comes to mind about the bright future of the photo/video category here at Ingram Micro Consumer Electronics. The photo/video category is a key strategic focus in the IMCE product portfolio due to many current trends in the industry. The DSLR segment continues to drive top-line sales and consistently appears on our Hot Lists from quarter to quarter. In addition, the cutting-edge Micro Four Thirds system cameras are growing in customer interest, which is proven by sales activity and by the growth in our vendor product lines in the category. IMCE is now able to provide our customers with full-line assortments from the top brands in the industry and make available key models, such as the highly reviewed Panasonic Lumix DMC-G3 mirrorless interchangeable-lens digital camera. While recently there have been some market pressures in the point-and-shoot category, IMCE is bucking the trend and focusing on recent innovations in this category to overcome these challenges. With Canon’s product line being fully back in stock, there are early signs that Canon results are expected to be much better than originally predicted. Plus, with the continued success of the IMCE photo/video accessory segment, it confirms IMCE’s status as the consumer electronics accessory specialists. Everyone in the industry will agree that the tragic events that occurred in Japan this year have had a dramatic effect on the dealers’ ability to draw customers into their stores. Store traffic is often driven by manufacturers’ marketing campaigns, product introductions and rebate programs. What is a dealer to do to replace that lost revenue? As a distributor of photographic accessories, our answer is to shift the focus from the camera to the peripheral products needed by customers who already have a camera! Fortunately for OmegaBrandess, we have been relatively unaffected by production interruptions in Japan. We are well stocked with accessories dealers need. Not only will focusing on these products fill some of the revenue gap, they will more than replace the low profits that are associated with hardware sales. Looking forward to what we see in the industry in the coming months, I would have to say that any product that relates to the mobile lifestyle has a good shot at being successful. We are seeing more demand for products that mate with the iPad/iPod and similar items. This includes storage devices, battery packs, protective cases and even accessories that enhance their photographic capability. The New. The Old. The Future. My passion for the magic of photography has been lifelong. Beginning in my youth, through my studies at the Rochester Institute of Technology, and to my career at WYNIT; my passion continues to grow in ways I could never have imagined. The basic process of capturing moments in time has become so pervasive that today hundreds of millions of human beings carry digital imaging devices in the palms of their hands—and share their personal moments across the world in an instant. The advent of social networking technology has created an infrastructure that houses tens of billions of digital images in cyberspace, and this number continues to grow exponentially. As enthusiasts, we stand in awe of this statistic. As business people, we must search for the opportunities contained within it. We must embrace the reality, without losing the magic. Some seemingly “retro” analog technologies are gaining traction among photo enthusiasts, much like the resurgence of vinyl recordings with audiophiles. For example, The Impossible Project (manufacturers of instant film designed to fit legacy Polaroid cameras) has found a growing market in U.S. consumers.